 To help you decide if you would like to work with a counselor at Evergreen, we’ve included some of our answers to the most common questions we receive. Our fees at Evergreen vary by clinician. To learn more, please check out our Insurance & Fees page. Therapy is a financial commitment. It’s an investment in yourself and your ability to become aware of self-sabotaging patterns and more capable of practicing new, more effective thoughts and behaviors. This – this ability to think and behave more effectively – can profoundly and positively impact your future relationships, your work, your health, and even your finances. If you’re like most of the individuals we’ve worked with, you’ve likely already invested a lot of time and energy and money into your education, your career, your home, and your physical health. Here at Evergreen, we truly believe that investing in therapy as an act of self-care can be a continued investment in your overall wellbeing and success in life. And, if you need some ideas about how to better afford therapy, check out this free guide with some valuable tips. While we can appreciate the urge and desire to come to therapy every other week, here at Evergreen we only see clients on a weekly basis at least for the first stage of therapy. Psychotherapy works best within the context of a trusting and caring relationship and, in our experience, it takes weekly sessions to create a strong, and effective-enough container that allows for us to deepen the work and for you to experience the change you desire. Working on an every other week basis simply doesn’t allow the work and change to deepen or happen as quickly and as effectively. After the initial stage of therapy, you and your Evergreen therapist can talk about what frequency of sessions might be most appropriate for you then. No, here at Evergreen we currently do not accept insurance. However, we can navigate this! We are happy to work with you to provide itemized receipts for your insurance company for partial or full reimbursement for your out-of-network therapy benefits. For more information on this, please read our insurance and fees page. How do I know if Evergreen Counseling has the right therapist for me? Choosing a therapist is a very personal decision. Therapy is only as effective as the relationship between therapist and client and because of this we like offer a complimentary 20-minute consult call with anyone who reaches out to us so we can learn more about your individual situation and then set you up with the therapist who will be best equipped to help you meet your goals. Then, when you come on in for your first session, ask yourself: “Can I see myself feeling safe and comfortable with this person? Does it seem like they *get* me ?” It doesn’t matter how many degrees a therapist has hanging on the wall; if you don’t feel good about sitting in a room with that person, it may not be good therapy. So book a complimentary consult session online, give us a call, or send us a message and we’ll help get you set up with someone who we think will be a great fit for you. What kind of clients does Evergreen work with? Here at Evergreen Counseling we work with individual adults, individual teens, couples, and families of all different identities and ethnicities from all over the world. Many of our clients are working professionals and we also work extensively with graduate, undergrad, and high school students, too. Also, while some of our clients have been to therapy before, the majority of our clients – about 60% – are first-timers to therapy. Finally, while our clients’ professions, ages, ethnicities, gender expressions, sexual orientations, religions, family backgrounds, and lifestyles vary widely, all of them share something in common: they are people who are in pain and who are at a point where they’re willing to commit and invest in themselves and in therapy in order to change and create something different in their lives. The first in-person meeting is what’s known as an intake session. It’s different from a traditional therapy session because this will be a time for our therapists to gather your case history, and together you’ll talk about why you have decided to pursue therapy and what your goals are for your time together. It’s also an opportunity for you to get to know your therapist, to ask any questions you may have, and to see how you feel in our offices and with your therapist. At the end of the session, you and your therapist can decide together if it feels right to move forward in scheduling another session and beginning the rest of the therapeutic journey. Please note that this first session is not complimentary; it is a fully paid session. If you would like a complimentary 20-minute consult call to assess if you and your therapist feel like a good fit in advance of the first session, we recommend you book this first. On a more practical level, your therapy session will last 50 minutes in length and we suggest you leave about 10-15 minutes to account for fluctuating parking availability and BART delays. An actual therapy session lasts 50 minutes in length. The duration of therapy – how long you work with a therapist – looks different for everyone. For some, a few months following an acute stressor (such as a breakup or big life change) is adequate. For others looking to change deeply rooted patterns and belief systems, the process may take longer. On average, we see our clients for 6 months. You can trust that you and your therapist will keep checking in throughout your work together to determine if it feels appropriate and timely to end therapy. Here at Evergreen, we believe there’s a big misconception out there that therapy means just talking and talking about the past without ever taking action on the present. We certainly don’t operate that way as therapists. While we will always create space to talk about your past and the feelings that surface as we explore this, we are very direct and engaged therapists and actively work with our clients to design interventions, exercises, and thoughtful action steps if that’s what you’re looking for as part of therapy. Almost all of our clients begin working with us because they have a sense of wanting something better for themselves – whether it’s a loving, committed relationship, work that they adore, or a greater sense of freedom, joy, and ease in their lives – and yet they don’t quite fully know what it will take to get there. We invite you to read more about our therapists’ areas of expertise, the treatment issues we cover on each individual service page, and if you would like more information about whether or not their skills would be a good match for you at this time, contact us to set up a complimentary 15-minute phone call to talk more about what you’d like to get some support with. Here at Evergreen, we work to create a safe and really special environment where, for 50 minutes each week, the world can slow down and together you and your therapist can compassionately explore, understand, and transform behaviors, thoughts, and patterns that may be holding you back from ultimately living the life you want to live. Our therapists’ style is warm and challenging, direct and engaging, and relationally-oriented. What that means is that we truly believe that it is through our early relationships that certain patterns get established and certain wounds created. And it is only then through relationship that these patterns and woundings can shift and be healed. When you work together as therapist and client, it’s actually the relationship that becomes the therapy in addition to the all of the ways we explore, address and clarify the content you bring into the room. Therapy sessions are 50 minutes in length. Occasionally, and as the schedule permits, our clients will book a double session of 100 minutes if they are experiencing a crisis or acute stress in their lives that week. Absolutely. What you share in your sessions is completely confidential except in the case of 1) immediate threat of harm to self or other, 2) suspicion of child or dependent elder abuse, 3) in the case of a court subpoena. You and your therapist will discuss all of this and Evergreen’s other office policies during your initial intake session. Evergreen Counseling’s offices are located at 2140 Shattuck Avenue #804, Berkeley, California, 94704. Evergreen’s downtown Berkeley offices are very accessible by public transportation, driving and parking, or by walking and biking. If driving and parking, please note that there are multiple parking garages surrounding our offices including a large one on Allston Way and a large one on Center Street. If coming by BART, you will exit at the Downtown Berkeley BART stop and our offices are a one-minute walk from the plaza exit. If coming by bus, please note that multiple bus lines drop off and pick up just steps from our offices at the downtown Berkeley transit station. These lines include AC Transit and, if a Cal community member, Bear Transit and the Berkeley Lab Shuttle. What if your counseling center doesn't have the right therapists for me? Choosing the “right” therapist can sometimes feel overwhelming and confusing and we want to help you make this decision and feel totally at ease about booking a session. Which is why we encourage you to check out our specialties, our therapist bios, our FAQ’s, our testimonials, and our blog. After this, if you’re still not sure if Evergreen Counseling is the right support for you, please feel free to contact us to set up a 15-minute consult call so we can answer any remaining questions you have. And, what’s more, if it turns out that our therapists are not the best match for you, we guarantee you that we’ll provide with you additional referrals to other therapists who may be a good fit. Yes! As much as it possibly can be. Our therapists at Evergreen Counseling conduct online video counseling on secure, password laptops here in our offices using a video conferencing software that is a trusted, HIPAA-compliant telemedicine solution (the same one that NASA uses!) and we also insist that our clients take their online video sessions in a closed, private room to ensure privacy. We do everything we can to comply with data privacy and security provisions for safeguarding your medical information. Ideally, you will have a laptop or desktop but even a smartphone can work well for online video counseling. We do require that our clients download a free piece of software to their phone or computer in advance of the first session because we use a special platform for the video counseling. Your therapist will send you instructions about this platform and how to download this simple piece of software when you book your first session. At the start of your scheduled session time, your therapist will dial you via the video conferencing software. When you accept their call, a window will pop up with their face, you will see and hear them, they will see and hear you, and then you can then begin your 50-minute session as you would if you were sitting here in our offices. At the end of the 50-minutes, your therapist will end the video call and you will both be disconnected from the video conferencing software. It certainly can be! Whether you are in-person or video-conferencing, the single biggest thing that will make therapy effective is whether you and your therapist have a good bond and if you feel comfortable with them. In our experience, it’s just as easy to experience this over video conferencing as it can be in person. That said, what’s ideal is if you can make it into our offices at least once to meet your therapist in person if your life and schedule allows. This can often make the connection feel “more real” but, again, it’s not necessary and many of our clients who live far away from Berkeley and who can’t make it into our offices find the connection just as effective and helpful as if they were working with someone in-person. As much as we would love to be able to work with you, our therapists are licensed to practice therapy (whether this is in-person or online) in the State of California only. So what that means is that we can only work with residents of California.